Ireland's National Clinical Programmes are making healthcare safer, more cost effective and more accessible. The patient journey can be complex and the National Clinical Programmes develop practical solutions to address potentially problematic points on this journey; for example, delays in getting an outpatient appointment. acute hospital services, e.g. radiology, acute medicine. 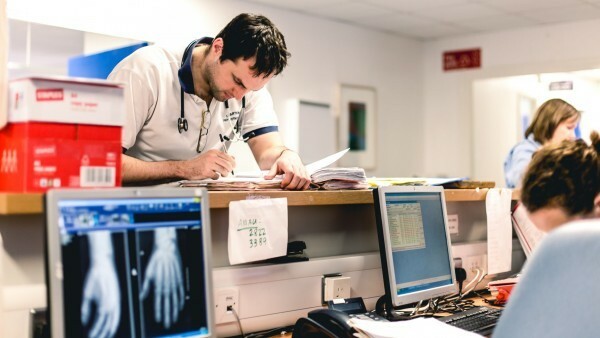 The programmes are led by doctors and were established jointly by the HSE Directorate of Clinical Strategy and Programmes and Irish postgraduate medical training bodies, such as RCPI. Fellows of RCPI and its Faculties and Institutes, who are senior hospital consultants, currently lead 20 National Clinical Programmes. Below you can view details of the 20 National Clinical Programmes led by Fellows of RCPI and its Faculties and Institutes. Clinical guidelines and other resources published by the National Clinical Programmes are available on the HSE website - we have included links to the relevant pages on the HSE website below. In 2010, the average length of stay in hospital was 8.5 days. By 2014, thanks to the National Acute Medicine Programme, this was reduced to 6.9 days – the equivalent of 1,135 beds. In 2014 the programme was instrumental in the appointment of 28 additional consultant physicians; the establishment of the Irish Society of Acute and Internal Medicine; and the implementation of the National Early Warning Score (NEWS). The programme is currently compiling a national clinical guideline for Communication (Handover) for Acute and Children's Hospitals Services, which will detail measures for clear communication of information relating to a patient's condition, both urgent and routine. The programme has developed a Model of Care for Asthma and is preparing to roll out an integrated care project. The integrated care project aims to improve the diagnosis and management of asthma patients in a primary care setting, with links to specialist adult asthma services to improve health outcomes and reduce the demand on services. 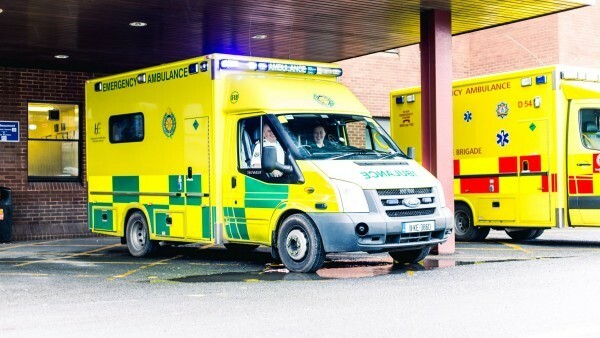 So far this initiative has seen the creation of two Clinical Nurse Specialist posts in Midland Regional Hospital Mullingar and Connolly Hospital, Dublin. An Emergency Asthma Guideline will be launched in late 2015. The programme has developed educational programmes for healthcare professionals with the Asthma Society of Ireland. Prof Pat Manning FRCPI, National Clinical Lead for Asthma, received a Global Initiative for Asthma (GINA) Ambassador Award in July 2015. The GINA Ambassador Program recognises the outstanding contributions of individuals to improving asthma diagnosis, management, and control. The Clinical Lead for this Programme is Dr Tim McDonnell FRCPI. Thanks to the programme the average length of hospital stay for COPD fell from 9 days in 2010 to 7.3 days in 2014. There has also been a reduction in the 90-day re-admission rate from approximately 29 percent in 2010 to 24 percent. The programme is preparing to roll out the COPD Integrated Care Demonstrator Project, which aims to improve the diagnosis and management of COPD patients in the primary care setting. It will provide spirometry (a test of how well you can breathe) and a programme of care to improve health outcomes and reduce service demand. This initiative has created four new Clinical Nurse Specialist and three Senior Physiotherapist posts. A national Model of Care is near completion and National Clinical Guidelines for COPD are currently undergoing the final stages of approval. The programme has developed an education programme for spirometry in conjunction with the Irish Association of Respiratory Physiologists and has contributed to the development of the Spirometry Model of Care. The National Clinical Lead, Prof Tim McDonnell FRCPI, presented to members of the Oireachtas in the Dáil for World COPD Day in November 2014, which led to COPD being included on the list of conditions for which the flu vaccine is recommended. The National Clinical Programme for Cystic Fibrosis was reconvened in 2015 to plan and direct the delivery of care to people with Cystic Fibrosis. The Clinical Lead for this Programme is Professor Charles G. Gallagher. The Programme Manager is Gary Killeen, who is based in RCPI. The Clinical Lead for this Programme is Dr Anne-Marie Tobin FRCPI. The Programme Manager is Kellie Myers, who is based in RCPI. The appointment of more than ten dermatologists has increased access to services, with a consequent increase in activity levels. Since 2009, there has been a 20 per cent increase in the numbers of patients being seen. The programme has been working with the National Cancer Control Programme (NCCP) to develop non-melanoma skin cancer guidance. A The Clinical Lead for this Programme is Prof Sean Dinneen FRCPI. The Programme Manager is Cliodhna O’Mahony who is based in RCPI. Read about this programme and access guidelines on the HSE website Recent Achievements Thanks to the programme, additional funding has been secured for the National Diabetic Retinal Screening Programme. This is a government-funded screening programme that offers free, regular diabetic retinopathy screening to people with diabetes aged 12 years and older. In the area of diabetic foot care, an additional eight podiatry posts were approved in 2015. Across the country, 17 community diabetes nurse specialists have been appointed to support integrated care between primary and secondary care so that patients are seen in the most appropriate setting. The programme is working with the National Clinical Programme in Obstetrics & Gynaecology to develop national clinical guidelines for Diabetes in Pregnancy. The Clinical Lead for this Programme is Dr Ken McDonald FRCPI, the Programme Manager is Regina Black. Since 2010, Heart Failure Units have been established in 10 hospitals in Ireland. The effectiveness of these units is emphatic – readmission following discharge <10% in the first three months, a performance that is superior to international norms. The Clinical Lead for this Programme is Prof Orla Hardiman FRCPI. The Programme Manager is Dervla Kenny. The Clinical Lead for this Programme is Professor Michael Turner FRCPI. In response to the national miscarriage diagnosis crisis in 2010, significant improvements in early pregnancy services have been achieved by the Obstetrics and Gynaecology Programme, including implementation of national guidelines, training for ultrasound in the first trimester and installations of high specification ultrasound machines in all 19 early pregnancy assessment units nationwide. The Clinical Lead for this Programme is Dr Diarmuid O’Shea FRCPI, the Nursing Lead is Deirdre Lang, and the Programme Manager is Helen Whitty who is based in RCPI. The National Clinical Programme for Older People Acute Model of Care has been hailed as an extremely useful evidence-based resource for healthcare managers and clinicians. Its scope is not limited to inpatient services; it also helps older people to stay at home for as long as possible by providing a model for day hospitals, outpatient and outreach care. The programme has established a Nurse Interest Group: Acute Services - a network of 42 nurse representatives from all 34 acute hospitals that care for older people. This group is currently promoting the model of care at local level and examining how services might be re-organised to implement it within existing resources. The programme has developed a Comprehensive Geriatric Assessment (CGA) to guide healthcare professionals on the multidisciplinary assessment and management of older people. The Clinical Leads for this Programme are Prof Alf Nicholson FRCPI Dr Nuala Murphy FRCPI and Prof John Murphy FRCPI. The programme has developed a national model of care for paediatrics and neonatology, which is undergoing the final approval stages. 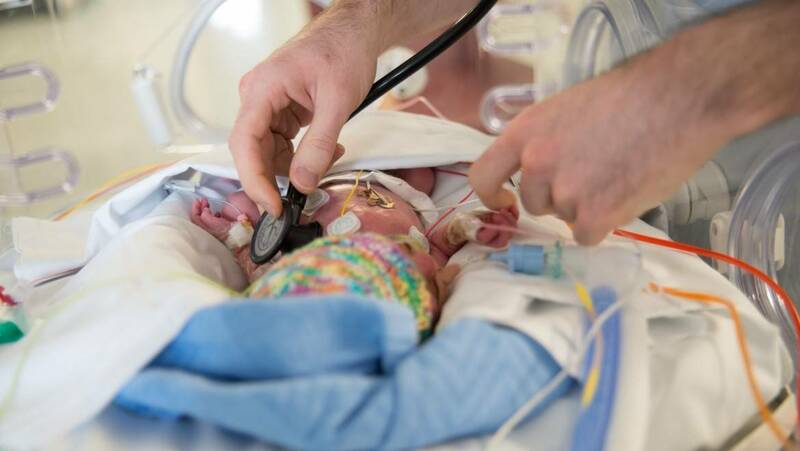 The programme has identified the need for increased numbers of consultant paediatricians, neonatal and paediatric nurses, and paediatric health and social care professionals. The programme has developed an Irish Paediatric Early Warning System (PEWS) focusing on improving situation awareness, prompting early recognition and action in the event of deterioration in a child’s condition while in hospital. Following a pilot, implementation of the national PEWS has commenced in hospital groups across Ireland. The Programme has developed a number of neonatal and paediatric algorithms for use in clinical settings. These algorithms provide a standard way of treating commonly occurring conditions and are used by medical, nursing and health and social care professional staff working in primary and emergency care settings and neonatal units. Examples include Acute Bronchiolitis, Childhood Asthma, Developmental Dysplasia of the Hip, Headaches in Children and Tongue Tie. The programme is engaging with the HSE to support the implementation of the agreed national eligibility and discharge criteria for specialist palliative care services, based on need rather than diagnosis. The programme helped to secure 24 new beds at St Francis Hospice Blanchardstown, Dublin and 20 new beds in Marymount University Hospice, Cork, as well as the approval of new consultant and related community palliative care posts. The Palliative Care Needs Assessment Guidance document and education module supports staff in undertaking a palliative care needs assessment, in developing care plans and in identifying when referral to specialist palliative care is appropriate. In 2014-2015 a total of 76 facilitators were introduced and these are now rolling out the Palliative Care Needs Assessment education programme in various organisations. This initiative will in part support the development of key competencies as identified in the Palliative Care Competence Framework. The programme has helped to secure the appointment of a National Laboratory Modernisation Implementation Manager in 2015. This is a key step in supporting implementation of the Laboratory Modernisation Programme and will bring improvements in the efficiency, quality and cost-effectiveness of pathology services. The programme is developing a National Laboratory Handbook, which will offer guidance on when to test and when not to test. This benefits patients by avoiding unnecessary testing and also offers benefits in terms of cost savings and optimising staff time management. The Programme has negotiated Ireland’s participation for the first time in the European Commission Joint Action in Rare Diseases 2015–2018. The first phase of this database of expertise in rare diseases in Ireland, in addition to related expertise in Europe, is now available for patients and clinicians at www.Orpha.net. This will enable the development of a database of expertise in Ireland to cover between 6,000 and 8,000 rare diseases. The clinical programme has also worked closely with the Acute Hospital Division to open the National Rare Diseases Office in June 2015. Through the introduction of an innovative musculoskeletal physiotherapy initiative, over 80,000 patients were removed from waiting lists as of December 2016. The Clinical Lead for this Programme is Professor Rónán Collins, the Programme Manager is Joan McCormack who is based in RCPI.